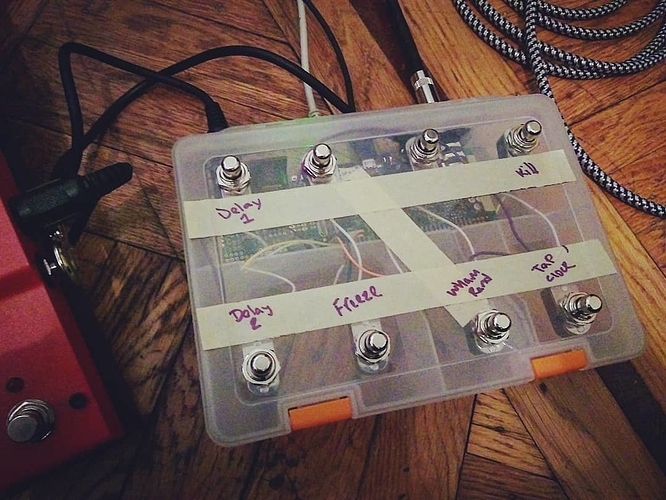 So I'm starting to get together ideas for a case for my Axo so I can add it to my Pedalboard - was thinking of having a few foot switches both momentary and latching for different purposes but can't seem to find what type of switches work best or any kind of wiring diagrams. 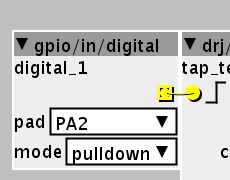 Connecting a switch is as simple as VDD -> switch -> GPIO IN. As for momentary and latching, if you are connecting them to the GPIO on the Axo, I would recommend momentary only, reason being, there is a simple object in the patcher to make a momentary into latching if required, this way you have the flexibility to use a momentary any way you like. In the patcher you can even invert them so you can have four types of action. The official pin outs post is a great place for guidance, you might want to tinker and test before you build to help understand how it all works.. Thanks! Didn't know you can use all momentary and set them for latching in the patcher - super helpful! Yeah, my plan right now is just getting my axo into a sloppy plastic box I can mount some foot switches on to start - once I get things set up the way I want I am going to look into a permanent metal enclosure that'll be more durable. They won't need to connect to ground, just connect as shown in the official pin outs post. If you are getting hum or interference, it shouldn't have anything to do with the footswitches unless somewhere in your circuit you have connected into the audio by accident. All the footswitch does is sends a high or low signal (3.3v for high, 0 volts for low), and the object code connected to the GPIO pin will react depending on weather it is high or low. perfect, thanks for the help! Hey now, got a box set up with 8 foot switches all working and am pretty siked! Set it up Saturday and got to bring it out to a jam on Sunday and use it and it worked great! 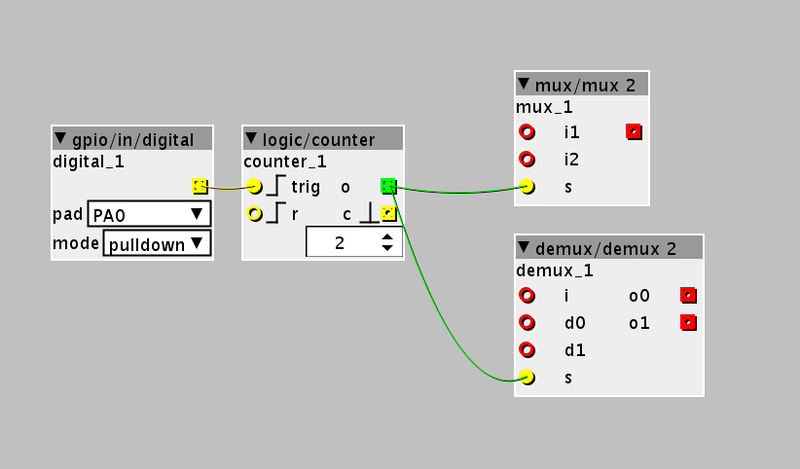 To make the button latch, you can use a counter set to 2, and output it to a mux or demux depending on what you need the switch to do. 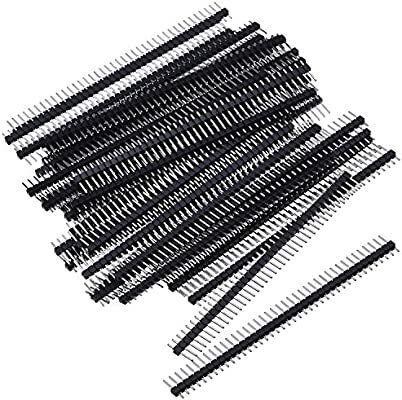 You can buy pin headers in any electronics shop. Or even on Amazon and eBay. I prefer the counter in this situation since you can easily extend it to work with a mux/demux 6 to go through presets for guitar fx.